UPDATE: It's a done deal. And Corey Coleman is OUT. ​I mean, we all knew that's where this was heading, didn't we? 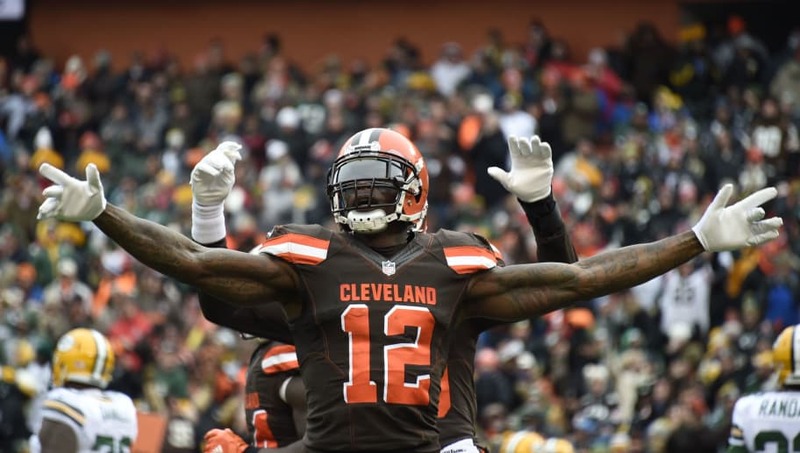 The Browns were posturing that they'd refuse to deal ​Josh Gordon to an AFC team after his latest slip up, but you knew they'd take the deal where they could get it. And there's only one receiver-hungry contender in the AFC, after all. According to reports, Tom Brady will only be forced to deal with a thinned-out receiver corps for two full weeks of the season, as the Pats are now ​reportedly closing in on a trade for Josh Gordon. ​​Gordon's tumultuous history is well-documented, and Cleveland decided they'd finally had enough when he injured himself on a late-night promotional shoot Friday at the team's facility. But, per usual, the circumstances in The Land have only led to another elite talent being gift-wrapped New England's way. There's a significant downside here, of course. Gordon's barely been active for years, unable to build on his breakout 2013 campaign and battling years of substance abuse. But if he becomes the home run threat we've seen in years past with Tom Brady at the helm (and based on past experience, he certainly will be), then this is another easy solution to a problem that would've manifested itself in the AFC postseason.